Courtyard @ Heeren is located in Malacca, situated in the Melaka Old Chinatown area which is now part of the UNESCO World Heritage City of Malacca. 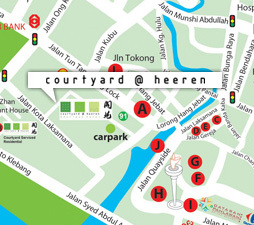 The hotel is located at Jalan Tun Tan Cheng Lock (formely known as Heeren Street). It is just a few steps away from Jonker Street (Jalan Hang Jebat) which is famous for shops selling various types of antiques and handicrafts. 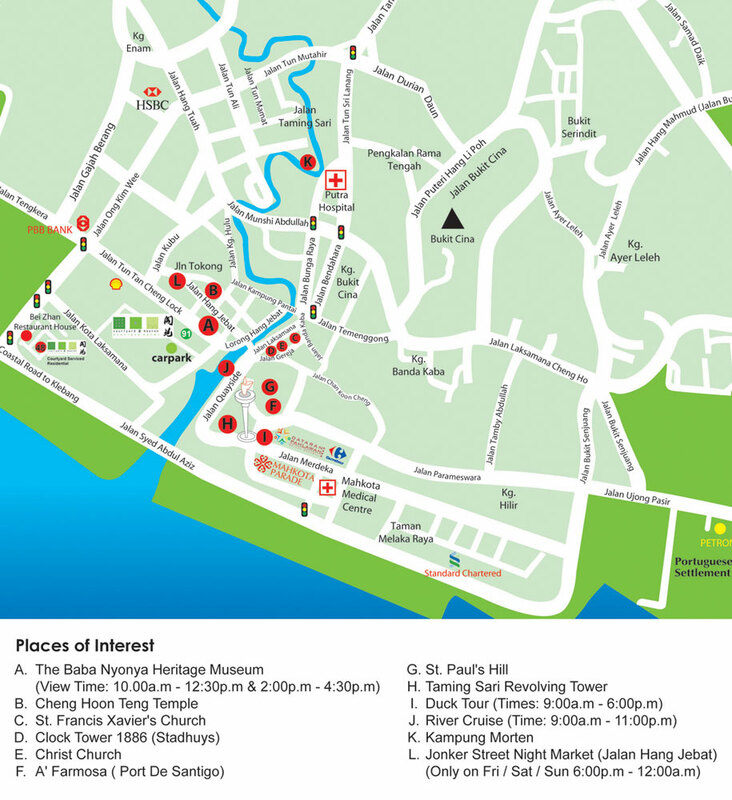 Jonker Street is also famous for the weekend (fri, sat & sun) night market which starts from 6pm to 11pm. Copyrights © 2012, Courtyard@Heeren All Rights Reserved. Find us on Facebook!